Our friend Ben is really excited about earthships. He wants to build one here in Northern Nicaragua. I didn’t know much about them, but undertook a program of self-study reading through all three volumes of Michael Reynolds’ Earthship books. 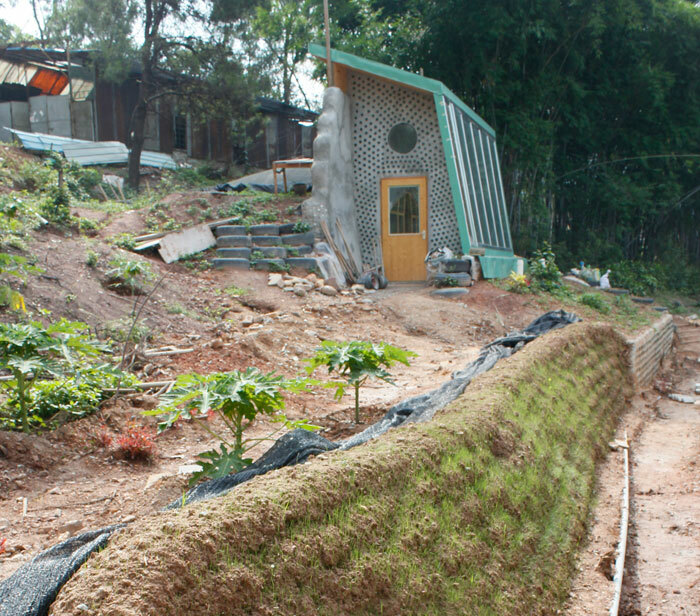 The basic idea is finding the cheapest, most sustainable method for building. Reynolds tackles this problem by using recycled materials such as tires and aluminum cans instead of concrete blocks or bricks, and air flow and passive solar for temperature regulation. Volume 2 takes the methods into more detail, and Volume 3 discusses systems like grey water and solar energy. The concepts are really interesting but unfortunately the Earthship is designed for places like New Mexico where the temperature varies wildly between hot and cold and you want to use thermal mass to keep the temperature at a constant comfortable level. In Nicaragua where the temperature doesn’t vary very far from hot, I don’t think it will work as well. 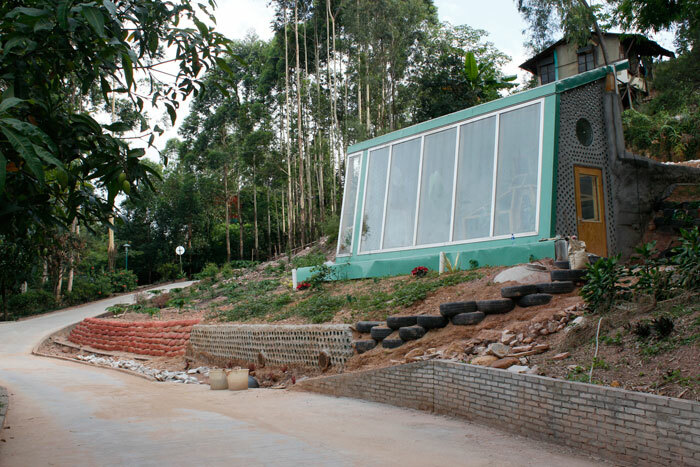 In my research online, I came across these photos of a little tiny earthship in China that I thought was interesting enough to share. Check it out! 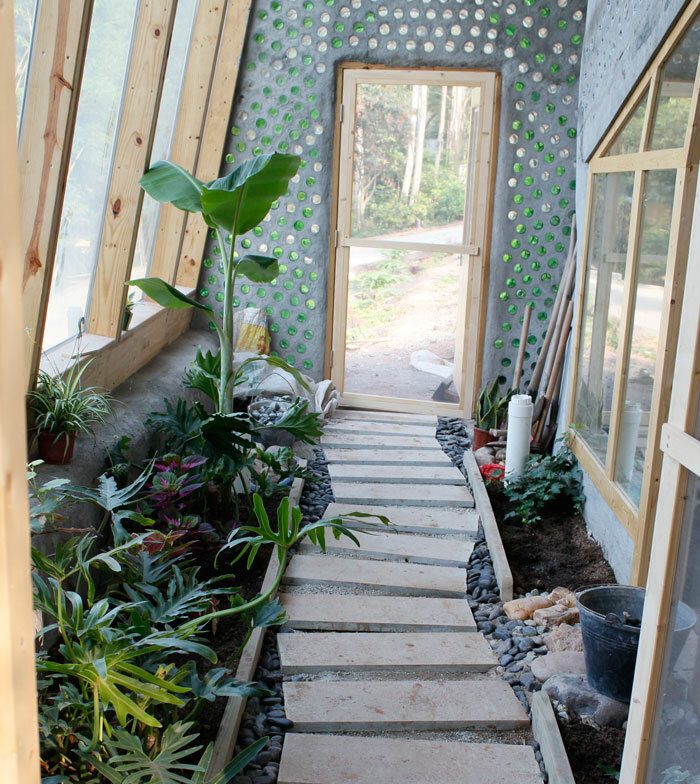 This entry was posted in Green Building and Bamboo, Make your own and tagged china, earthship, michael reynolds, new mexico, nicaragua, thermal mass. Bookmark the permalink.